Aromas of rich plum fruit combined with black cherry and toasty vanilla oak. A seamless, integrated palate of black currant and fruitcake with hints of dark chocolate and espresso. A long finish of fine velvety tannins. Fresh cherries and stewed plums complexed by herbaceous characters and subtle oak. 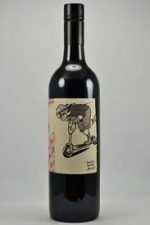 The wine exhibits the classic varietal Merlot aromas of dark plums, herbs and chocolate. On the palate, notes of bay leaves, vanilla and mocha are completed by a soft round texture finishing with fine velvety tannins. This wine can be enjoyed now or with cellaring will mature for 4 to 5 years. Dark deep red in colour, the aromas of dark brooding fruit jump out of the glass, with hints of aniseed, warm spice and oak. Full-bodied on the palate the velvety liquid is mouth coating, flavours of stewed plums and bitter chocolate. Supple tannins lead to a long smooth finish. The aromas of raspberries and red forest fruits follow through the palate with the dusting of the carefully integrated French oak. With a pleasant dry finish.
. 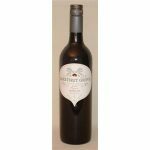 This medium bodied wine is supple on the palate with earth, spice and plum characters. Deep red in colour with lifted aromas of cherry and mulberry with a hint of mocha; flavours of sweet plum and spice with subtle savoury French oak. 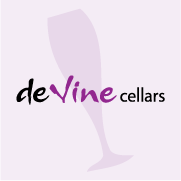 A medium to full bodied wine with velvety tannins, long and soft with a silky smooth finish. Vanilla, dark plummy fruits and licorice on a soft, plush palate finishing with fine tannin and grainy oak. The wine’s aroma is inviting and shows a sophisticated meld of berries, clove and cedar spice complemented by earthy forest floor. 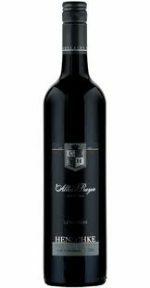 The palate is lively and bright opening with initial red berries and allspice fruit building to chocolate praline mid palate with soft warm tannins that continue to please long after the wine is tasted. The palate is rich and velvety showing boysenberry, spice and musk flavours, complemented by subtle vanilla from the sweet American oak. 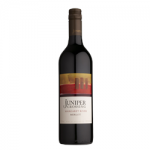 This well structured Merlot has a firm finish with fruit and acid in perfect harmony. A lively wine which shows spicy plum and cherry characteristics with a soft, yet long finish and rounded tannins. The taste has the firmness of abundant soft tannins. The fresh juicy plum characters, give great depth of flavour. It has a ‘flowing’ palate that is quite silky and smooth. 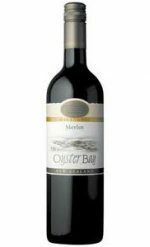 A medium bodied wine with pleasant soft plummy fruit flavours. Ripe, concentrated and voluptuous in the mouth, it offers tons of vanilla and spice flavors, a medium level of velvety tannins, medium-high acid and a long finish. Plums, raspberry, chocolate and a little vanillin oak all beautifully balanced. Vivid deep crimson in colour. A sweet, spicy, complex nose of blueberries, mulberries, blood plums, cardamom and thyme with underlying hints of toasty French oak. The palate is beautifully svelte and complex with layers of flavour and fine-grained, silky tannins. Very textural, elegant and long. 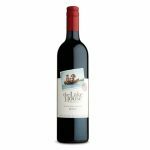 The soft and round tannins create a finely balanced palate, with the concentrated fruit flavours providing good length of flavour. Ready to drink now, it is best suited to pasta dished or barbequed lamb.